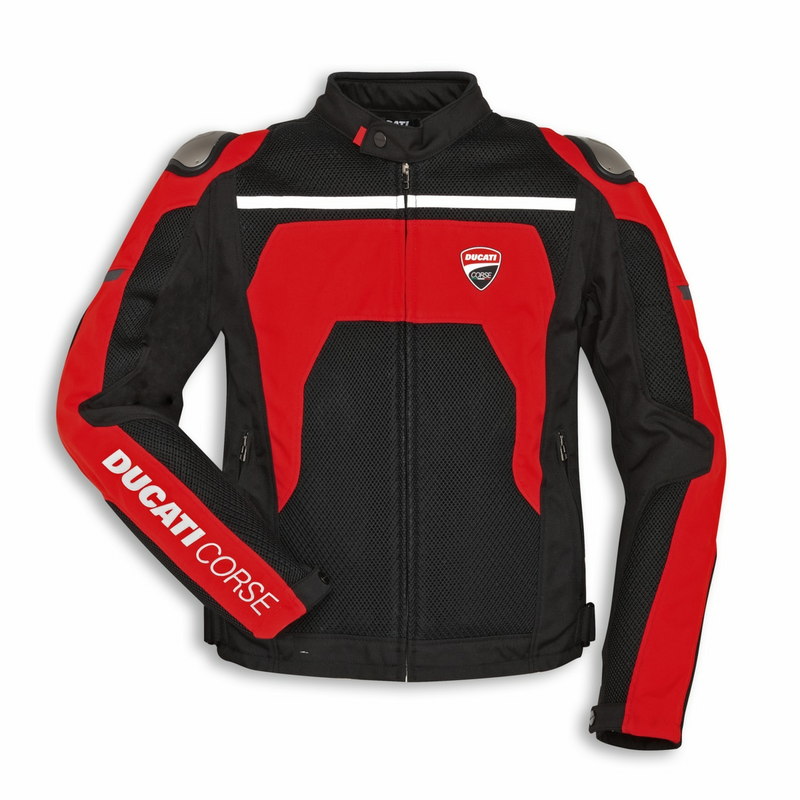 The Ducati Corse tex Summer C2 fabric jacket is specifically designed for hot and humid climates and summertime use. Designed in collaboration with Dainese, this highly-ventilated jacket is made with a combination of mesh and lightweight fabric. The interior features a removable windproof lining that's ideal for midsummer excursions. 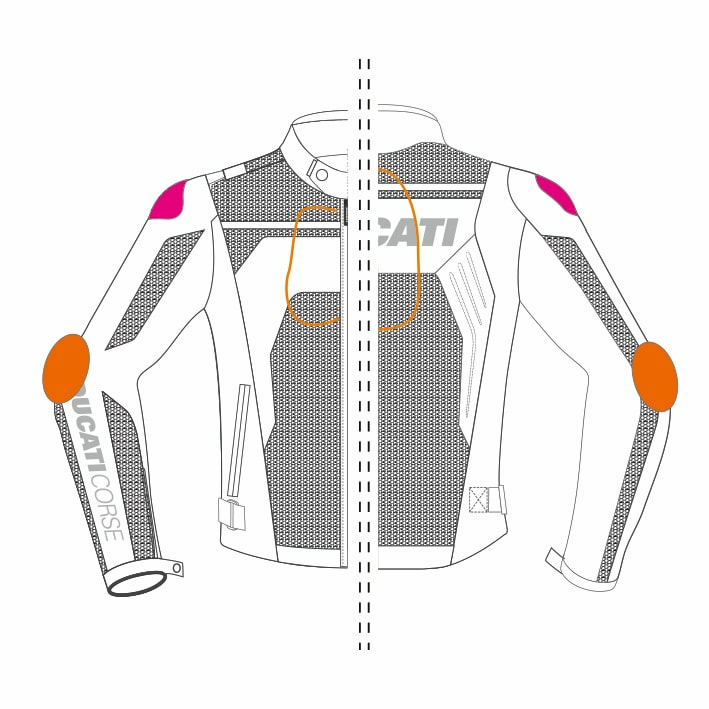 Featuring aluminum inserts on the shoulders and composite protectors on the elbows, the garment also comes predisposed for the insertion of a Wave or Manis G2 back protector. 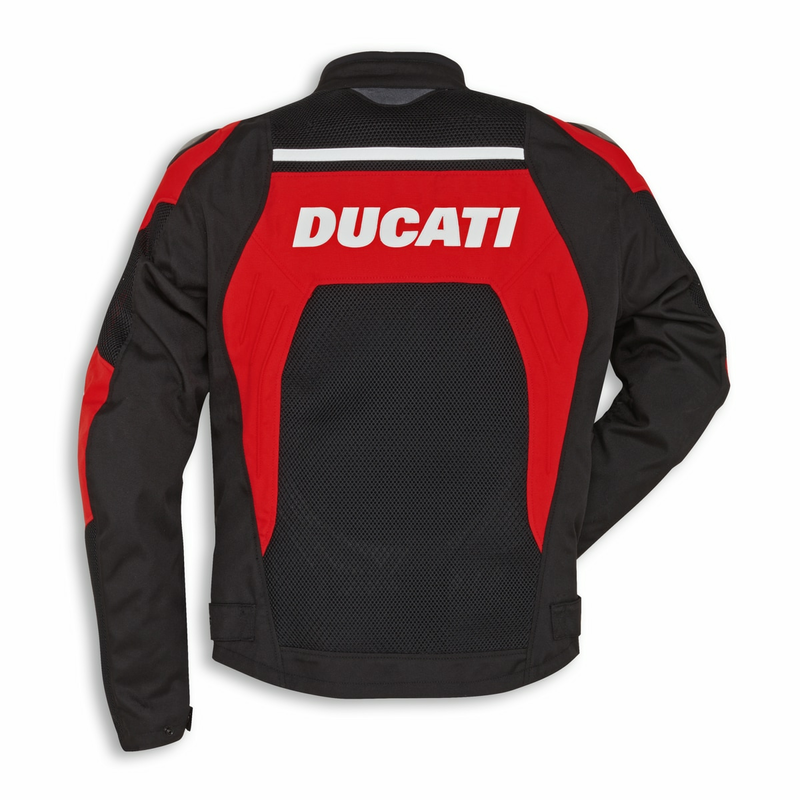 Boasting a colorful design by Aldo Drudi, this jacket is a must-have for the most passionate Ducati enthusiasts.